Aa article dated from last year with a detailed account of how the European Commission funds its collusionary supporters….-A.M. The European Commission is spending millions of euros each year funding ‘civil society’ groups which act as cheerleaders for greater political and economic integration. A new report Euro Puppets: The European Commission’s remaking of civil society shows the extent to which taxpayers’ money is channelled towards organisations which campaign for EU institutions to be given more money and power.Many of the groups which receive the Commission’s patronage would struggle to exist without statutory funding. For example, Women in Europe for a Common Future received an EU grant of €1,219,213 in 2011, with a further €135,247 coming from national governments. This statutory funding made up 93% of its total income while private donations contributed €2,441 (0.2%) and member contributions just €825 (0.06%). The European Commission is proud of its ‘civil dialogue’ with citizens’ organisations which it claims gives the EU democratic legitimacy. Many of these supposedly grassroots groups are heavily dependent on the tens of millions of euros the EU hands out to special interest groups each year. · Citizens for Europe, which describes itself as a ‘non-partisan, non-governmental and non-profit organisation’ whose ‘objective is to support the European Union project’, depends on the EU for 80% of its funding, with the rest coming from national governments. · The ‘Green 10’ represents the largest of Europe’s environmental lobby groups. All but one of their members receives substantial funding from the EU (proportion of income provided by the EU shown below): o Birdlife Europe: €332,163 (35%) o CEE Bankwatch Network: €836,238 (45%) o Climate Action Network Europe: €295,022 (33%) o European Environmental Bureau: €894,000 (41%) o European Federation for Transport and Environment: €275,516 (16%) o Health and Environment Alliance: €362,992 (59%) o Friends of the Earth Europe: €1,195,259 (46%) o Naturefriends: €365,735 (41%) o WWF European Policy Office: €599,954 (13%) · Outside Europe, the EU has awarded grants to such groups as Friends of the Earth International (€814,243), WWF Pakistan (€1.6 million) and WWF Indonesia (€0.5 million). ‘The International Federation of Organic Agriculture Movements’ has been awarded €450,000 to promote organic farming in North Korea. · 80% of the ‘civil society’ groups which are members of the alliance which supports the 2013 European Year of Citizens receive funding from the EU. The majority rely on the EU for more than half of their income. 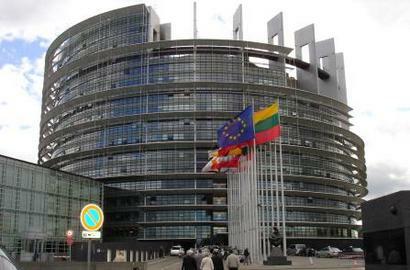 · The Union of European Federalists received €110,000 (63% of its income). · The International Union of Socialist Youth receives €50,000 each year from the EU. · As well as receiving extensive funding for the World Service, the BBC also received a specific grant for EU integration of €355,000. After the financial crisis hit in 2008, several European governments, many MEPs and much of the public wanted to see a reduction in member states’ contributions to the Union, but the Commission found widespread support amongst EU-funded ‘civil society’ groups for its own view that its budget should not be cut. · The European Youth Forum (82% EU-funded) declared: ‘We call on Member States not to freeze or cut the EU budget’. · The European Women’s Lobby (83% EU-funded) called for ‘an ambitious budget’. · The European Movement (71% EU-funded) demanded ‘increased investment’. · The European Network of National Civil Society Associations (75% EU-funded) said ‘We believe in the value of better EU funding… We support the proposal to maintain EU funding levels’.